Times have sure changed. When I first began to homeschool my children I was concerned that they would spend too much time on the computer. Now, nearly a decade later, working on the computer all day is the least of my worries. In fact, in this era, children need to have a vast understanding of computers and the technology that follows. 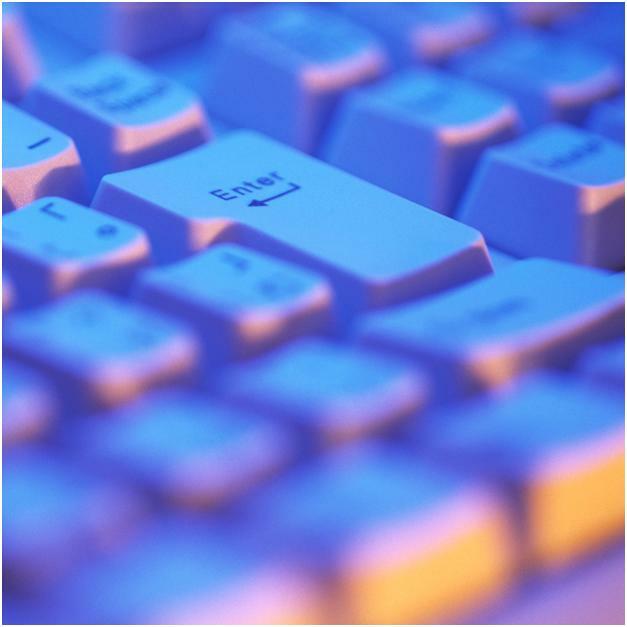 Computer knowledge is nearly a requirment in just about any field a person could pursue. The education field has certainly taken advantage of the computer age. When I was growning up, if a student needed help in an area of study the parents hired a tutor. This seemed to be about the only option available. Tutors can be restrictive in that they are only available at certain times. But, if your tutor comes in the form of your computer this problem is solved. I have been reviewing an on-line product called Virtual Nerd. 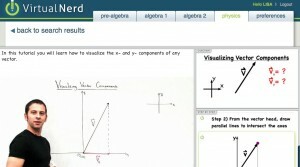 Virtual Nerd offers on-line tutoring in math and science for students in grades 7 – 12. The tutoring is done through easy to understand video tutorials. Users select Pre-Algebra, Algebra 1 or 2, or Physics. Then a search column outlines specific points which are broken down into further video content. If more information is still needed you can click on the Show Details button and it will break down additional topics. The videos consist of a narrator writing on a white board. The quality is good and the instruction is clear. A diagram and step-by-step instruction window follows the narrator. If you need to review you can click on a specific point in the step-by-step window and the video jumps back. If you need explanation of a certain term you can click on the highlighted terms and a new video pops up for further explanation. Virtual Nerd membership is available on a premium subscription plan basis of $49 per month. My thoughts on Virtual Nerd vary. First, we are just not to the point in our home education that my children need this type of tutoring. However, I understand that many who will read this is exactly at this point. So this concern should not play a factor to other’s opinions. Secondly, the cost of $49 a month seems a little steep. Most homeschooling families live on one income and therefore are very selective in how they budget their money. (Virtual Nerd does offer a one day and one week look at their program for a small fee for those who would like to give it a try.) On the other hand, Virtual Nerd offers in-depth tutoring help in a clear concise form. With a membership you can access it at any point which is certainly a plus. For those students in higher fields of study who need the added help I can see this program being beneficial. So, do not take my advice alone. Check out their website. Disclaimer: As a member of The Old Schoolhouse 2010-2011 Crew, I received a six-week membership in exchange for an honest product review. I do not receive any other form of compensation for the reviews posted on this blog. We are pleased to inform you that because Virtual Nerd (www.VirtualNerd.com) has received such significant interest following your review of our online tutoring service, we are offering a special discount to homeschool parents. Homeschool parents can receive 50% off the 1 and 3 month subscription plans. Just enter the discount code: homeschooldeal when you sign up for service. That is a huge discount, and hurry – the offer is valid until March 31, 2011!